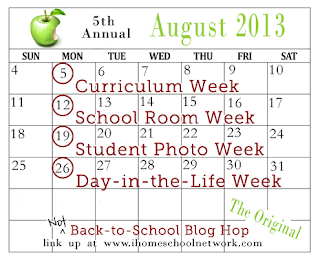 "How to Work and Homeschool" Blog Book Tour Stop: Jimmie's Collage. Join me over on Jimmie's Collage, won't you, to talk about time management? 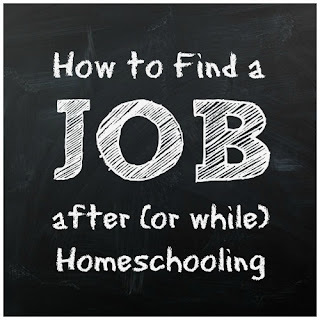 As you might guess, this question is a common concern for prospective working homeschool parents. ".... I'm curious how people handle childcare when both parents work during the day and homeschool. My job requires that I work school hours, and I really couldn't find another one that pays as well for working part-time. Want to be able to keep my options open for ds, but I can't put our family into debt for it. Any advice would be welcomed." 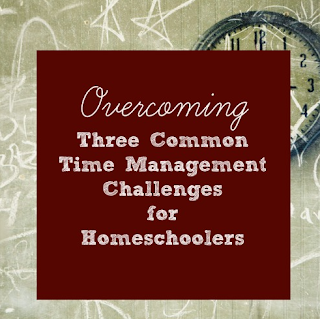 opted to only homeschool for a short period of time to address a specific need (ex. pulling a child out for a few months to a year in order for them to then re-enroll in a new school or special program). Some did a combination of the above. Note that daycare is the BIGGEST hurdle for most parents, making afterschooling the most common solution. Keep in mind that when homeschooling a child does not spend an entire day working. So a caregiver during a parents working hours need not be responsible for schooling. 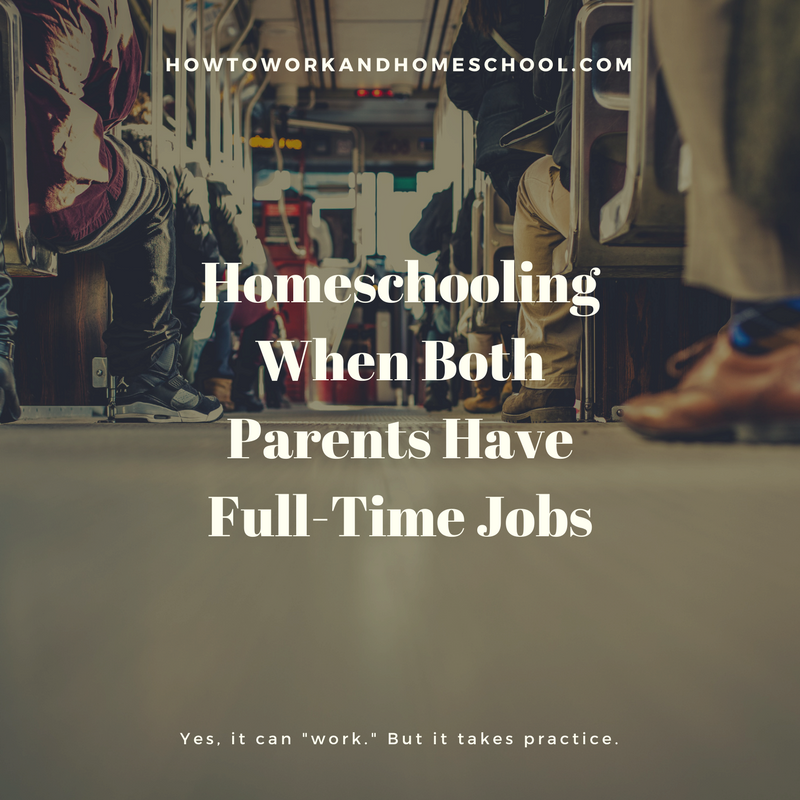 Experienced and veteran homeschool parents: tell us how you do integrate full-time employment with homeschooling in comments! Disclosure: This post contains affiliate links to Amazon.com and Bookboard.com. 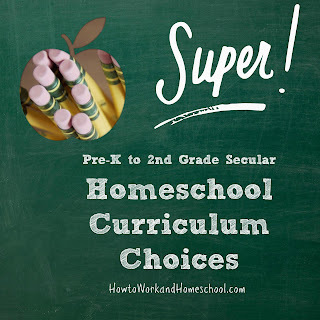 With the academic year gearing up, I have received several questions about what sort of curricula we use in our homeschool setting. In the wake of my new book's release, I also get the question "What curricula work well for working parents?" When we began homeschooling during our child's preschool years, I gravitated naturally toward the child-led Reggio Emilia method. That approach worked brilliantly for us through most of first grade. In fact, even as we begin second grade, we continue to include RE methods, although now I refer to it as project-based homeschooling. It's a wonderful middle-ground between traditional, seated homeschool pedagogy and unschooling. It's also very compatible with working since children are taught to take initiative and let their passions drive them. Reggio Emilia is still new here in the states. When I started out, I had to piece together how-to information from reading online and picking up books written for early childhood educators. Nowadays Lori Pickert's book Project-Based Homeschooling: Mentoring Self-Directed Learners is available, and it's an outstanding introduction to the concept. 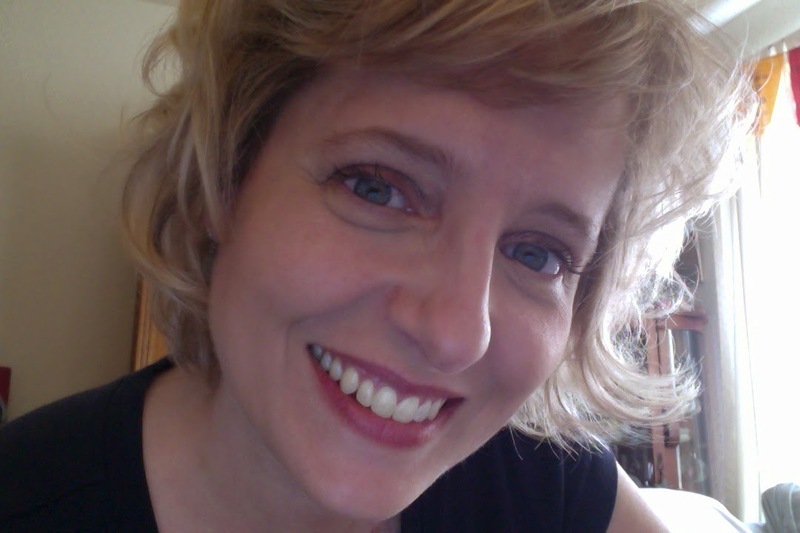 Lori demonstrates that the approach works well for older kids, too. I recommend her book constantly to my clients/workshop participants and in online forums. For parents who need something more structured--or for parents with younger kids who want to "do school" with older siblings, June Oberlander's Slow and Steady Get Me Ready will work until the start of Kindergarten. Now that our son is older, and although project-based learning remains at the core of our learning, I've come to embrace the idea that workbooks offer us a chance to practice executive function skills daily (see video below). For example, our son "earns" computer time during the week by completing workbook material during two short "schoolwork sessions" daily. The overarching lesson in this work, for us, is that "we do our work first and play later" not "you will master every page in this book." (We do tend to skip around.) Moreover, I need prompts to integrate topics such as science and math into our day. Workbooks help. When it comes to history, I'm enormously picky and I have yet to find a packaged curriculum or guide that impresses me. We currently use two history encyclopedias from the UK (prepared by a team of scholars) and generally let project-based homeschooling guide our sequence of study. We also refer to the the popular What Your [Child] Needs to Know Core Knowledge series on occasion for reference. We supplement with the Life of Fred series and Logic Links by Mindware for math. On the technology front, the Brain Pop and Brain Pop, Jr. apps are great, as is the Bookboard* subscription service, which is new to us but proving to be a wonderful addition to our iPad. I'm also loving the e-book Let's Play Math: How Homeschooling Families Can Learn Math Together and Enjoy It! as a means of helping integrate math into our lives more organically. That's our curriculum round-up, which of course is subject to change as we move forward with the academic year. Now I'd love to hear what works for you--especially if you have older kids--in comments or over on Facebook. 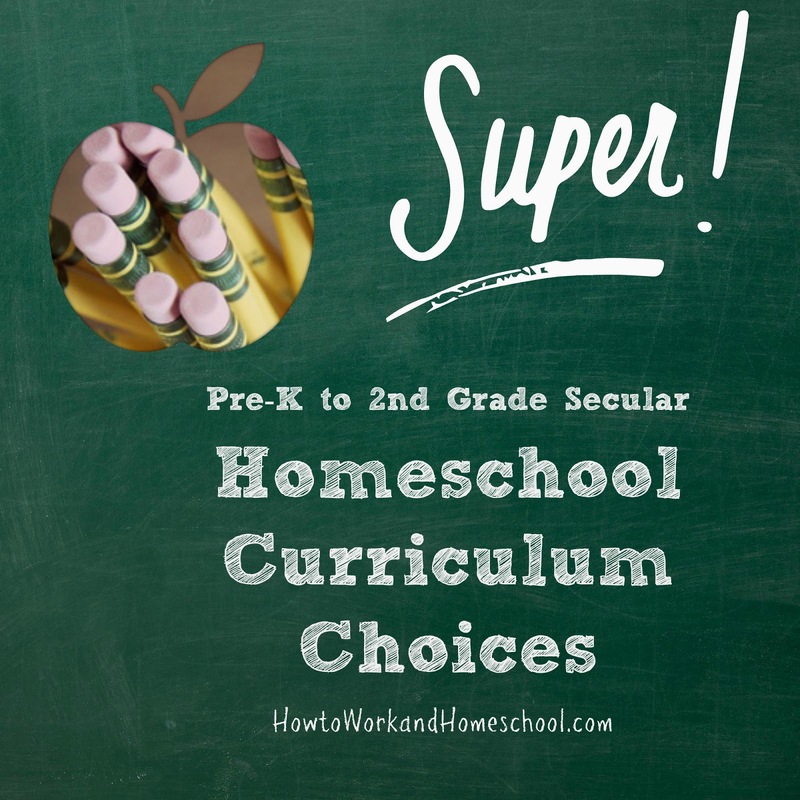 Looking for more great curriculum ideas? 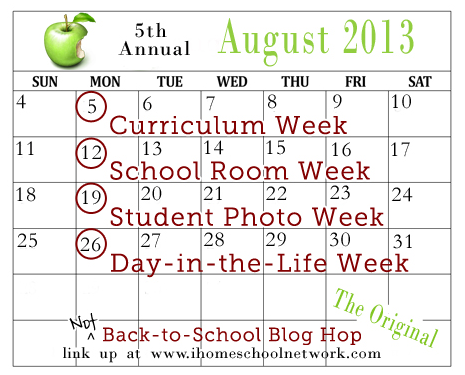 Be sure to check out Curriculum Week, part of the iHomeschool Network (Not) Back-to-School Blog Hop. * FCC Disclosure: I am a member of Bookboard’s Blog Ambassador program. I am compensated, from time to time, with free products and monetary payments. Any views expressed in this post are completely my own. Although many families are turning to homeschooling while the parents continue their existing jobs and careers, there are far more parents (primarily mothers) who seek to find a part- or full-time job after having homeschooled exclusively for several years. In most instance their children are older and are therefore more independent and self-directed in their studies, or the kids have left the proverbial nest altogether. 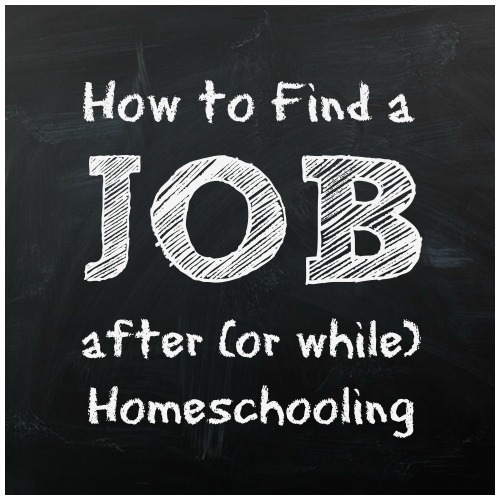 Sometimes these veteran homeschoolers wish to return to an old career path; other times they may want to give some thought to changing fields. 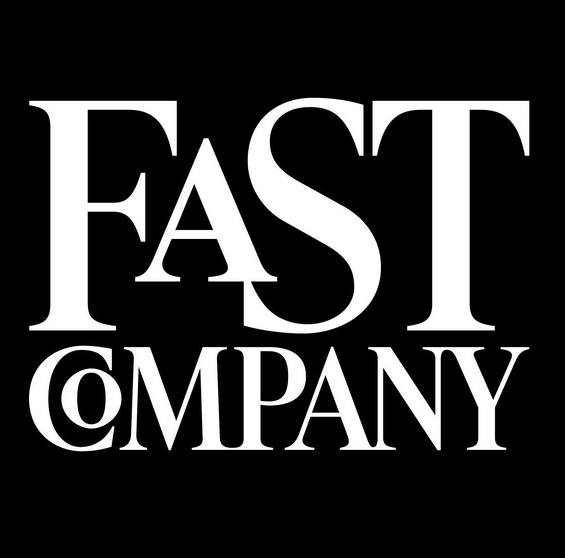 For parents in this situation, it’s beneficial to employ tried-and-true job search techniques. Yes, if you ever used your college career center, then this material will sound familiar.